It is coming to the end of the season for mussels so what better reason to take advantage of them now before they are harder to find and more expensive. Wine and garlic are perfect ingredients to spice things up and impress your guests at the dinner table, and this mussel recipe is simple, easy and low in calories. 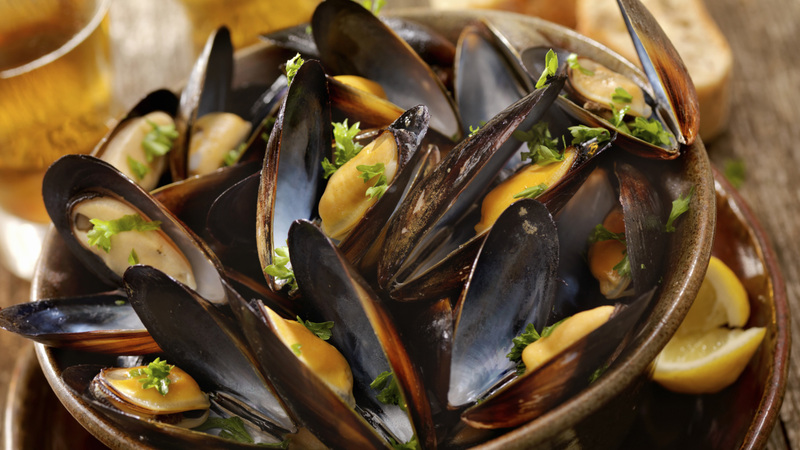 Remove the beards from the mussels and give them a light clean under running water. Add the olive oil to a pan and put in the garlic and shallots, fry gently to soften but do not colour. Add the wine and bring to the boil, continue to boil for two minutes to reduce. Add half of the parsley and the mussels, cover and allow the shells to steam open. This will take 3–4 minutes. Add the remaining parsley and serve in deep, wide bowls.